They bring your backyard to life and, in the case of Melody and Dave, happily provide 24 hour pest control. By relishing the stuff in the garden you’d rather avoid ending up on your plate and then turning it into eggs or milk and, a bit further down the (digestive) track, the perfect plant food, they get you ever closer to completing that magic Permaculture loop where the needs of one element are met by a surplus in another. It would be naive to say they give unconditional love, but some days when the sun is shining, the birds singing, and all the tummies are full, it feels pretty damn close. However, in the push and pull, yin and yang, ebb and flow way of the world, sharing your space with animals is not always sweetness and light. The Homestead animals, like all of us, come with strings attached. This week we have been dealing with the monster lurking at the end of one of those strings. Regular visitors to this publication (doesn’t that sound grand) will be well acquainted with our ongoing chicken problem, namely that of the Tinkerbell’s ill-health. The Farmer summed it up perfectly when he commented that they weren’t sick, they just seemed tired. We wormed them, fed them cat food, we isolated them in a comfy place with warm, dry bedding and hand picked greens, we dosed their water with apple cider vinegar, and finally replaced their water altogether with an electrolyte concoction for a week. They didn’t get better. We scanned the internet, our chicken bible (How to Care for Your Poultry volumes one and two, by Sue Clarke and Nadene Hall), and various library books. Finally, we had to accept they were suffering from viral Egg Drop Syndrome. The cure? After time, there isn’t one. Time can be elastic when face with the c word: culling. When all is said and done, it is killing after all. Once the diagnosis was arrived at, opening the two chicken coops (Chicken Central and The Quarantine Ward) became a chore rather than a pleasure. How were the two remaining Tink’s this morning? The cup-half-fuller’s of us would notice a definite spark, a twinkle in the eye, a bounce in the step, a breath of a hint that things may be taking a turn for the better; the more cynical/realistic of us would keep quiet. Then one day there was only one Tink alive, and even the most Pollyanna-ish of us couldn’t hide from the truth. Time for a quick recap around the table. Agenda Item 1: We take the responsibility for the welfare of the animals that share our space. We feed them and house them because we remove them from the wild where they could sort these things out for themselves. Agenda Item 2: The remaining Tink is uncomfortable, listless, miserable, and terminally ill.
We figured that, in the end, there really was really one choice we could live with making. 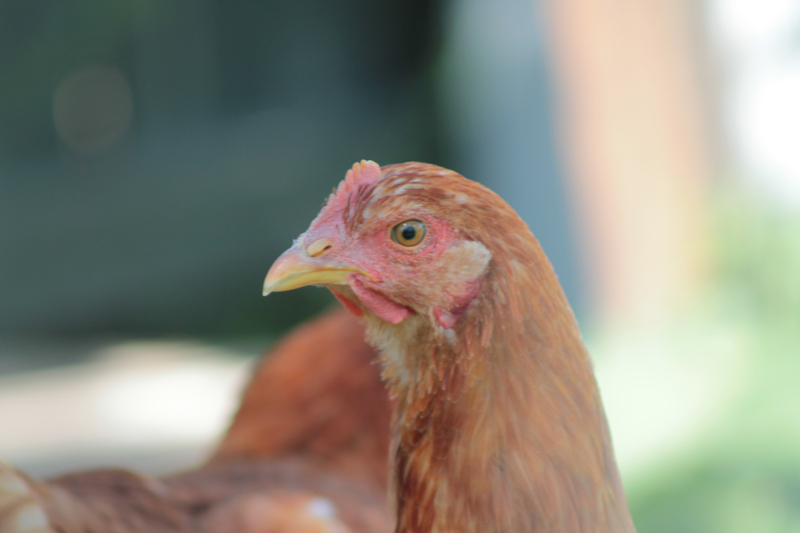 The ways to end a chicken’s life are many and varied but in the end we had to admit that those easiest on us (those with the least bloodshed or direct human action) all had the very real potential to increase the level of suffering for Tink. In the end we opted for an adapted “killing cone”, the sharpened tomahawk, and The Bean Counter’s reliable hand-eye co ordination. It was over in seconds. That night we lit a candle for Tink. We also vowed to never let any animal in our care suffer to that level again. We make no secret of not being experts. We know there gaps in our knowledge, learning, and our “walking the walk” you could drive the largest of the uber-trucks that regularly trundle past our gateposts as part of the post-quake Christchurch Rebuild, through. Every day these are exposed. Currently the meat we eat comes from animals that do not live as ours do. We reckon the time has come to step up and be true to ourselves. 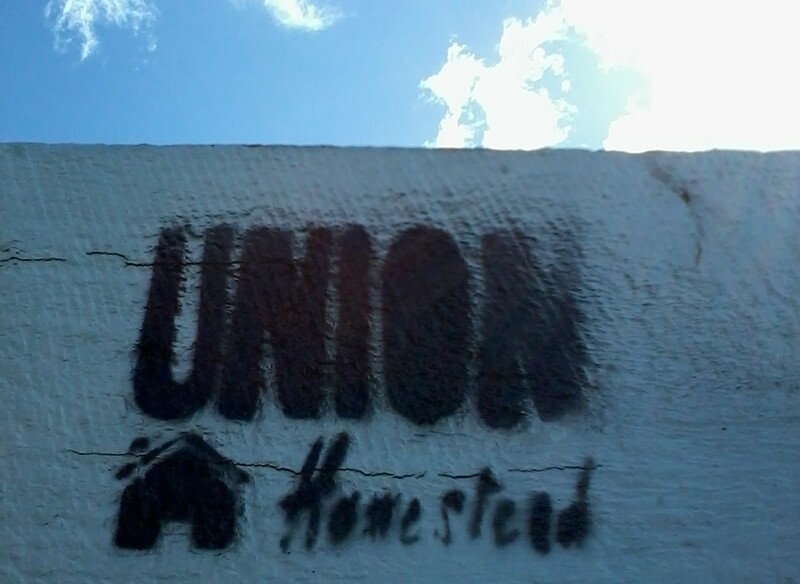 This entry was posted in Chickens, Union Homestead and tagged animals, Aotearoa, chickens, Christchurch, Christchurch Earthquake, culling, death, free range, homesteading, meat, morals, New Zealand, organic, reflection, self sufficiency, sick animals, sick chickens, Vegan, Vegetarian. Bookmark the permalink.